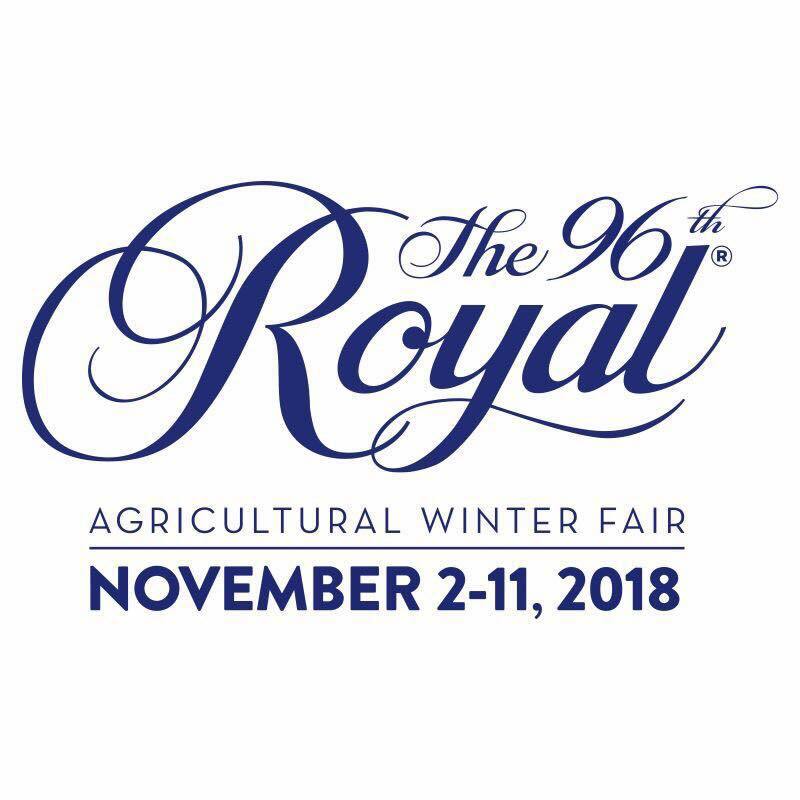 Each year in Toronto, the Royal Winter Agricultural Fair is held. 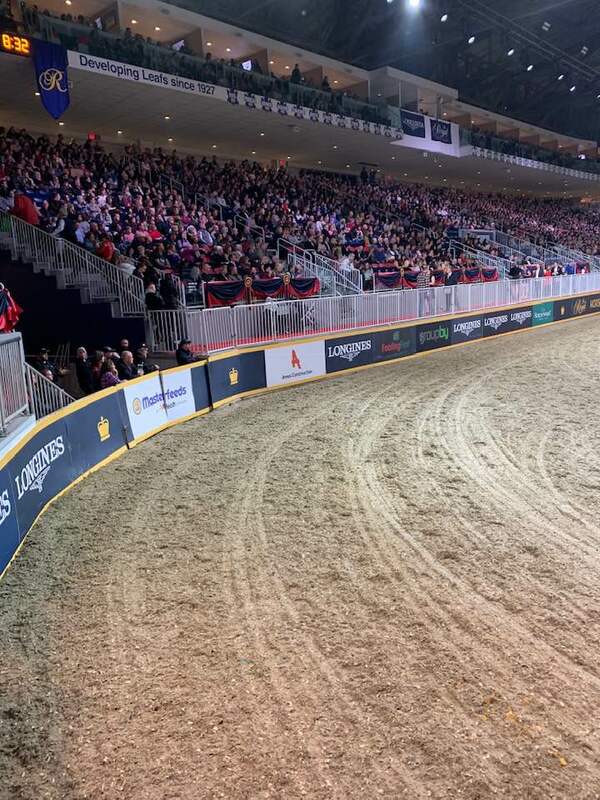 This is a gathering of many different breeds and disciplines, from Hackney harness ponies, to Olympic level stadium jumpers. 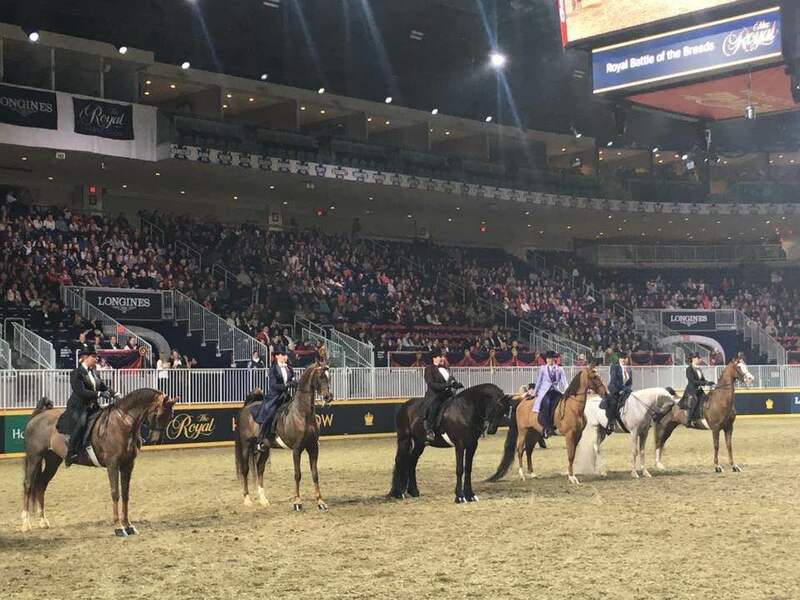 This year, our very own Arabians were a part of the new event “Battle Of The Breeds.” This showcased Saddlebreds, Morgans, Fresians, Hackney Horses, Arabians and other trotting breeds battling it out for the top slot. There were 15-18 competitors in each class, and the competition was fierce. Cedar Ridge Arabians had two competitors in these classes, and came away with top ribbons in both. 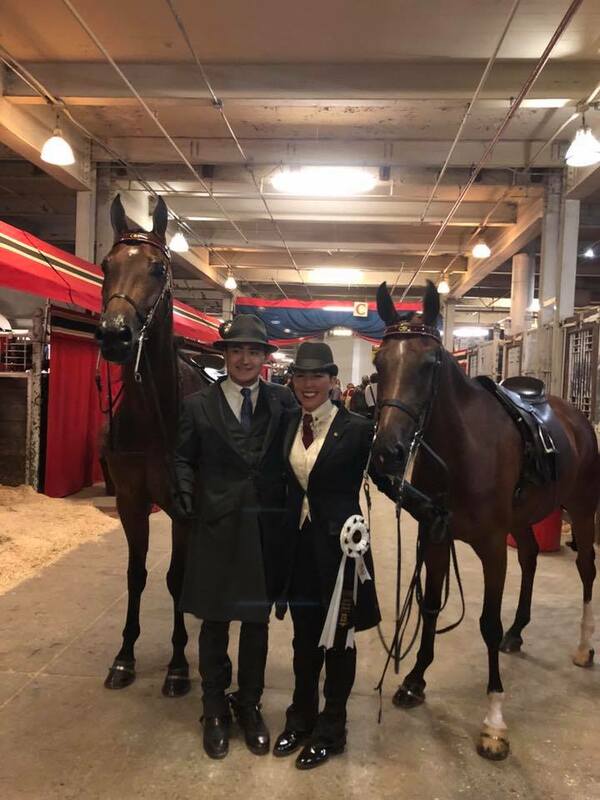 Laura Rodel competed on Supreme Glamor CRF and Josh Shino on His OwnMan CRF. They truly showcased the athleticism and beauty that the Arabian breed has to offer to packed stands in high energy performances.